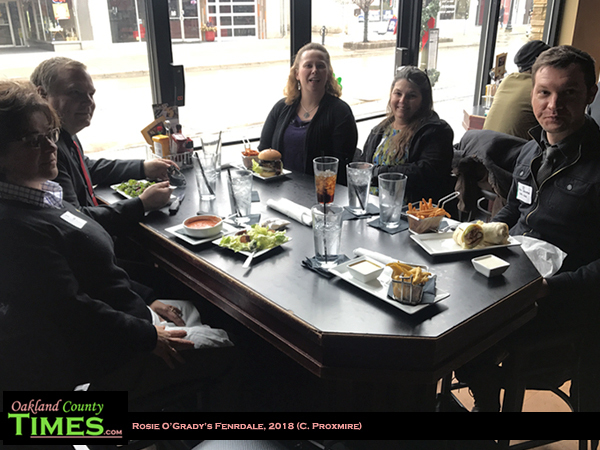 Ferndale, MI – Rosie O’Grady’s in Downtown Ferndale has long been an advertising sponsor of Oakland County Times, so it was exciting to be able to bring people from Pontiac, Holly, Davisburg and Royal Oak there for lunch when Main Street Oakland County had their Connected Downtowns Conference in Ferndale earlier this month. And I was even more excited to hear they had just launched a new menu! They now have mac and cheese waffles, which is a nice serving of pasta and cheese cooked in a waffle iron and topped with shaved Parmesan served with a cheese sauce. I had that with dill pickle fries, which were also amazing. And they came in an adorable little metal basket with a handle, which I thought was a nice touch and made sharing easy. 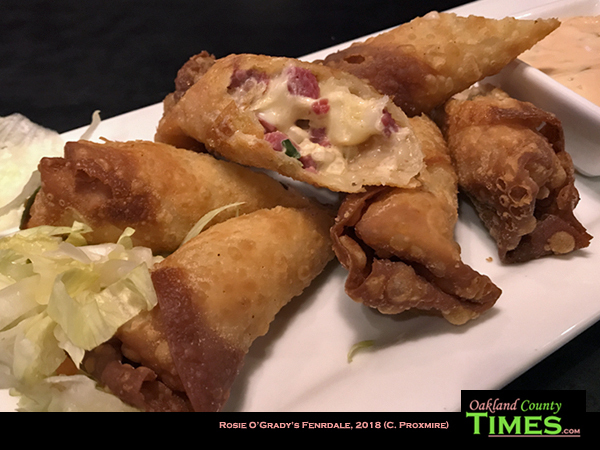 I was curious about the new menu so I sat with General Manager Michelle Lagrou and owner Brian Kramer about a week later to sample some more items and learn about their inspirations. 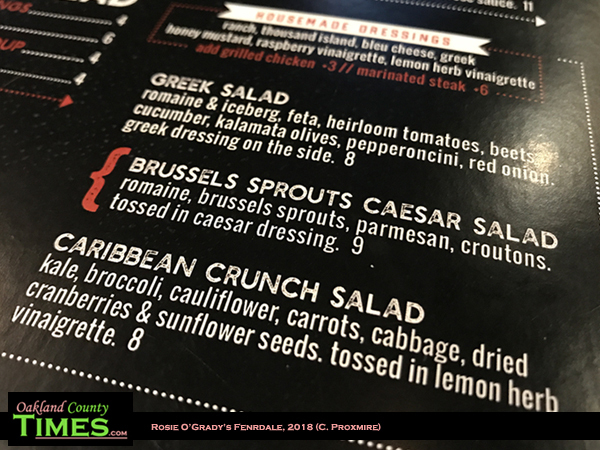 I tried the Reuben egg rolls and the Brussels sprout Caesar wrap, which was a very interesting and healthy twist on traditional Caesar. It comes in a wrap and in a salad. 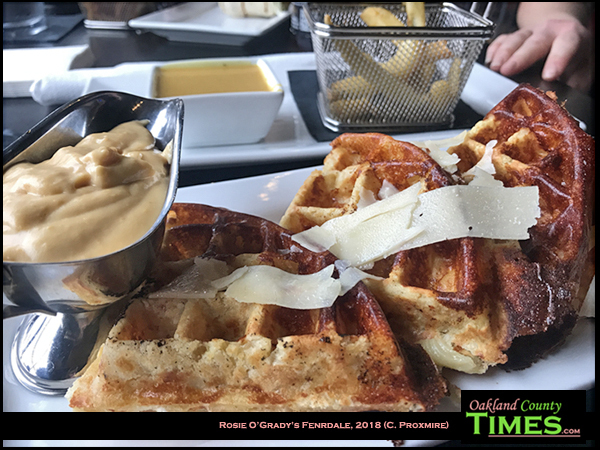 Kramer, who also owns Pop’s for Italian, One-Eyed Betty’s, Cantina Diablo’s and a second Rosie’s location in Chesterfield, was just as excited about the mac and cheese waffle as I am There’s also a cauliflower waffle for those seeking a healthier option. Kramer bought the original Rosie’s on W. Troy Street in 1999, where One Eyed Betty’s currently is. Before that he was a partner in Woody’s and Duggan’s, but wanted to take off on his own. In 2008 he mortgaged his home and put everything he had into buying an eyeglass store and turning it into the current Rosie’s. “It was a big bet,” he said. At the time Ferndale was not a hot spot, but he’s watched it grow over the years and been a part of it. “I love Ferndale. And we’re at a tipping point now, where we need to invest and continue to grow,” he said. 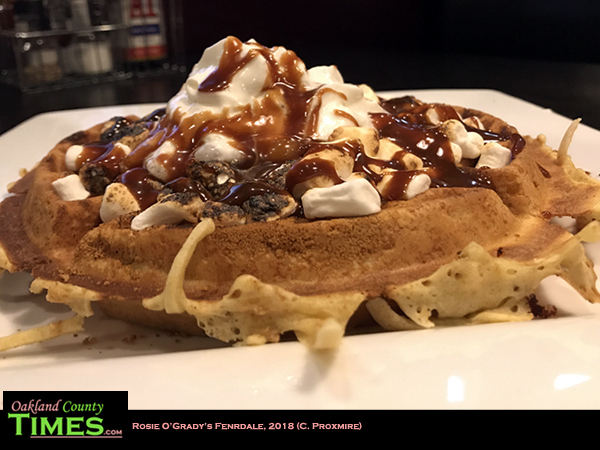 Our discussion ended with something amazing – a smore’s waffle, topped with marshmallows, whipped cream and chocolate syrup. There are several inexpensive desert choices thanks to the goal of a more family-friendly atmosphere. “I have kids. Brian has kids. Most of us do. We know how it is to go out to eat and how expensive that can be. A lot of families skip desert because of the cost, and we don’t want that to be an issue here,” Lagrou said.There’s also a chocolate brownie waffle, birthday waffle and an Elvis waffle topped with bananas, ice cream and peanut butter sauce. 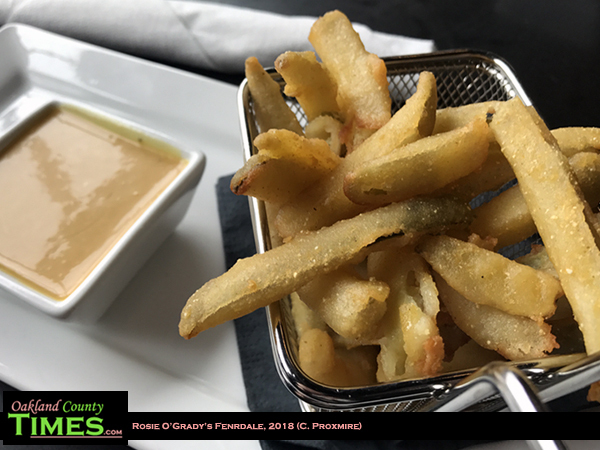 Rosie O’Grady’s is located at 279 W Nine Mile Rd, Ferndale, MI 48220. 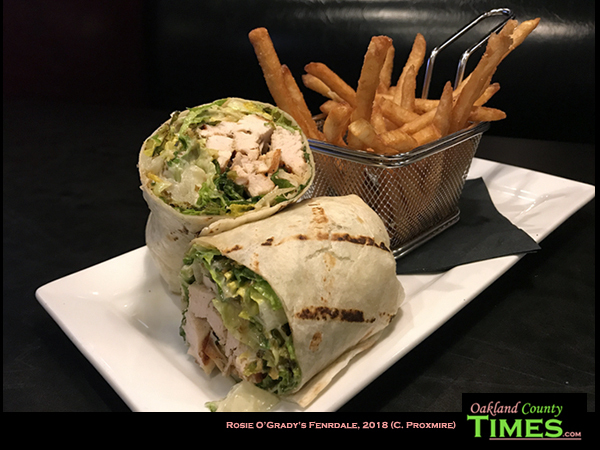 Check them out online at http://rosieogradysirishpub.com/ferndale/.